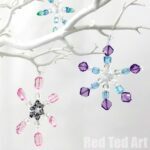 We haven’t made a nature Christmas Decoration in a LOOOOONG time. 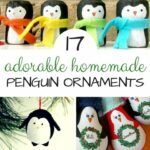 I think the last one we did, where our Santa Stick Ornaments and our Snow Pine Cone owls! And yet, I LOVE crafting with nature. 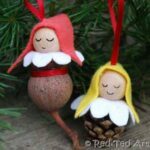 Nature is such a wonderful resource and inspiration for crafting with kids.. and I particularly love any nature ornaments for the Christmas Tree!! So. 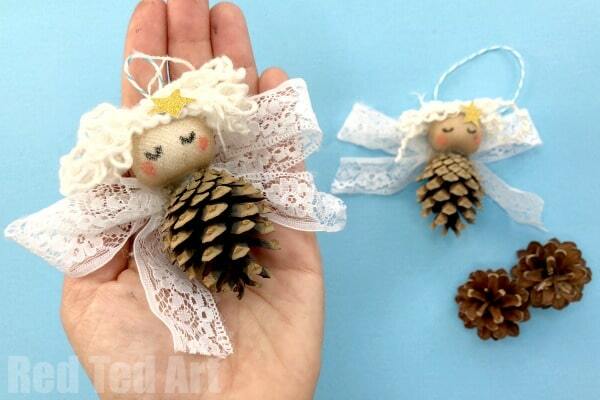 Finally… we have a little Pine Cone Angel Ornament DIY. So cute. 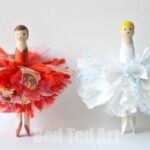 I love that you don’t have to get many supplies – apart from rummage around your craft stash and “see what you have”. 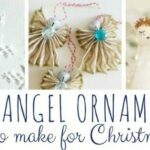 I even show you how to make a simple DIY “head” for your Angel Ornament Craft. 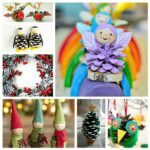 This Pine Cone Angel joins both our collection of Pine Cone Craft Ideas, as well as our DIY Angel Ornaments inspiration! Enjoy!! Watch our Angel Ornament How To Video or follow the step by step written instructions below! I remember making these kinds of “heads” as a child. 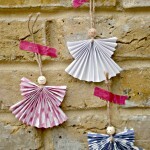 We have also shown you how to make heads from stockings before, with our easy little Austrian Angels. So cute and simple! Take your stockings (old ones, you don’t want to ruin a new pair) and a small amount of stuffing or cotton wool. Place the cotton wool in the stocking and twist the stocking around it to form a ball. I usually add a second layer of stocking to make it a little darker (and less cotton wool bright white!). Tie of with a little thread. Add features with pens – they do sometimes run a bit, so you may have to try different types… or glue on some felt features. 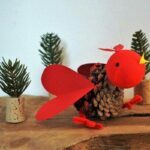 Glue onto the bottom of your pine cone (we are using it upside down) to form your head. You will need a lot of glue to hide the knot at the bottom. Or carefully position it, so the knot is towards the back of your ornament. Take your lace and make a bow that suits the size of your pine cone. Cut some bakers twine and knot it around the bow (for hanging later). 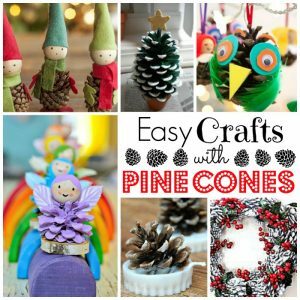 Glue to the back of your pine cone with a hot glue gun. Finally get some tinsel or wool and glue on top of the head. I added a little glitter cold card star to our angel. 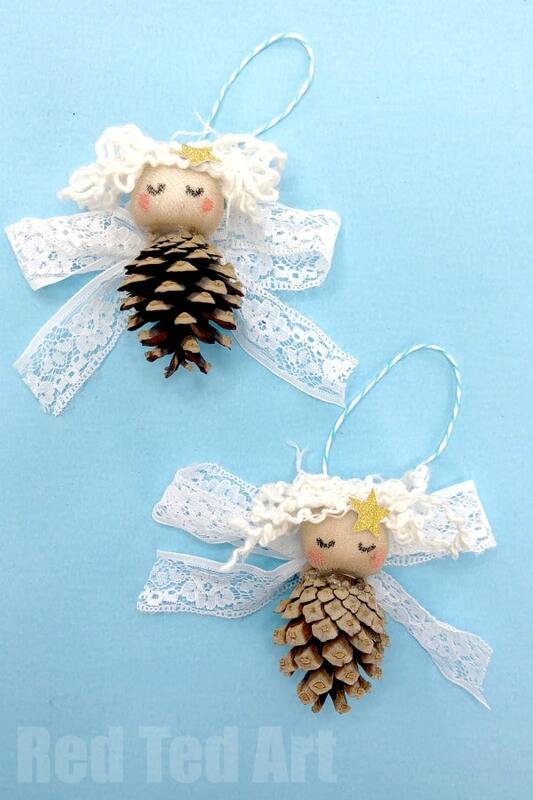 You adorable Pine Cone Angel Ornaments are finished! So cute. 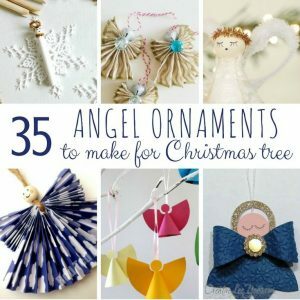 As well as more wonderful DIY Angel Ornaments inspiration for Christmas crafting!